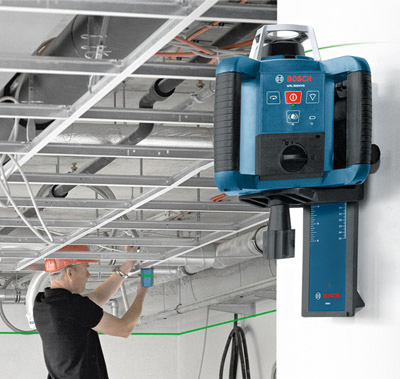 The Bosch WM4 Wall Mount provides a secure holding for mounting to ceiling trim using clip and clamping screw or use keyhole slots for different wall positions. 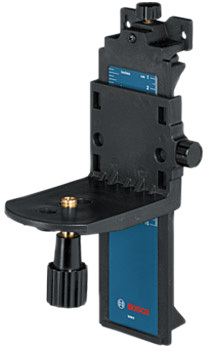 Its vertical sliding platform allows for height adjustments up to 6 In. and locks the height into place. With its 5/8 In. -11 mounting thread it can be used with most rotary and line lasers in a horizontal or laydown positions.